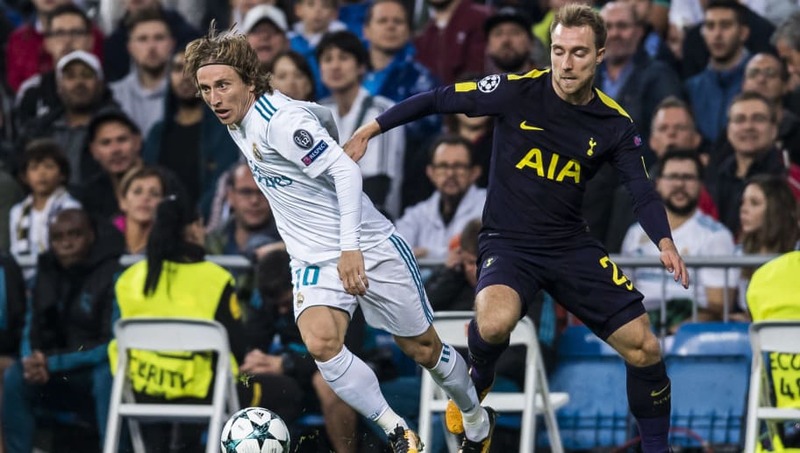 ​​Real Madrid are believed to be eyeing up a move for ​Tottenham Hotspur midfielder Christian Eriksen, with the Danish dynamo lined up as a replacement for Luka Modrić, should he move to ​Inter this summer. According to the Sun, ​Serie A sleeping giants Inter are still relentlessly pursuing the Croatian international, and are intent on signing him before transfer windows across the rest of Europe close. Eriksen has just two years left on his deal at Spurs, and the club are thought to be desperately trying to convince their star to extend his contract. The report gives no indication of their source of information, which suggests that it could be a mere rumour rather than being based on solid evidence. It certainly seems unusual that Spurs would sell Eriksen at this stage, with the ​Premier League transfer window closed, and no opportunity to find a suitable replacement until January. However, Spurs do have a history of selling their best players to Real Madrid, with both Modrić and Bale making the move from north London to the Bernabéu in recent years. Having failed to sign Eden Hazard from ​Chelsea, the pressure will be on Los Blancos to sign a marquee player before the window closes, but the chances of signing Eriksen seem unlikely at present. While Modrić is believed to be keen on a move to Inter, Real Madrid are unlikely to let their midfield maestro leave this summer. The 32-year-old was named the best player at the 2018 World Cup, as his efforts saw Croatia reach the final against the odds in a spirited campaign. Modrić is a key figure at the Bernabéu, and is likely to be out of Inter's price range. Further reports have claimed that Real Madrid will look to put the Modrić rumours to bed within the next couple of weeks, by ​offering the former Spurs man a massive €10m per year deal - equalling that of club captain Sergio Ramos. Modrić has been with Los Blancos for six seasons, winning one ​La Liga title and four Champions League trophies during his impressive spell.